Thank you and God bless you mightily for your support! Renew Life Worship Center knows that it's our responsibility to be good stewards of God's money. All resources given by our church family and partners are used to reach more people with the Gospel, we are a church that strongly believes in giving because God's Word instructs us to. It is through your support of God's Word that we have finances to reach, change and impact people through the power of God's Word! Our online giving is a safe and flexible way to give and support the Ministry here at Renew Life Worship Center! We are very thankful for your support and pray that the Lord God Almighty will bless you above and beyond as you support His Church! May you receive the blessings that are attached to giving. 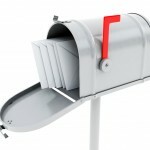 Please mail your donation in a sealed envelope to Renew Life Worship Center, P.O. Box 2605, Woodbridge, VA 22195. Please specify where the funds should be applied (tithes, offering, etc. ), and make checks payable to Renew Life Worship Center. We truly appreciate your generous support! May the Almighty God bless you, and may your barns be filled continually!